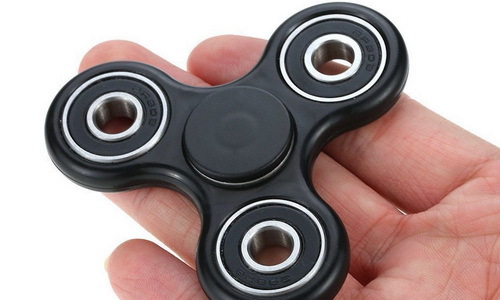 Fidget Spinners are everywhere; we have no clue how this insanely popular trend started but it seems it is all over the globe and people are buying Fidget Spinners like there is no tomorrow. Even though the very idea of using a Fidget Spinner is to relieve stress and relax, that means you have to physically feel it in your hand, there are lots of mobile apps available which allows users to play with a virtual Fidget Spinner on their phones and tablets. One of the most popular and amazing apps in this category is Fidget Spinner by Ketchapp which got overnight popularity because of its amazing graphics and good physics. Let’s take a closer look into this app and learn how you can make your Fidget Spinner spin unbelievably fast. The basics of Fidget Spinner is pretty simple and straightforward; the game gives you five swipes or spins in total that you can use anytime you want. For example, either you can use those 5 swipes simultaneously or you can wait for the Fidget Spinner to slow down a bit after the first spin and give it another swipe. When you use all of your 5 spins, the Fidget Spinner gradually slows down and that’s the end of it. The faster you spin the Fidget Spinner, the more coin you get. Regardless of how many spins you have used, if your Fidget Spinner stops the game is over. For example, even if you have used just one spin and you were waiting for the Fidget Spinner to slow down so you can give it another spin and it stops, the game is over. Make sure you don’t let it stop if there are spins remaining. One of the best things about Fidget Spinner is its speedometer that appears at the top edge of the screen. The speedometer shows the speed in RPM (Revolutions per Minute). In our experience, if you wait for your Fidget Spinner to slow down and it comes below 50-55 RPM, it gets impossibly hard to boost the speed. So, keep the minimum speed above that range as much as you can. There is no limitations or restrictions on swiping that means you can swipe anywhere on the screen. This is not necessarily a good thing as you can even swipe in the opposite direction and stop your Fidget Spinner. It also means you need some practice so you can find the best possible position for spinning and making an excellent swipe that gives your Fidget Spinner a boost. Fidget Spinner is an easy to learn but hard to master game and you can download it for free from iTunes and Google Play Store.